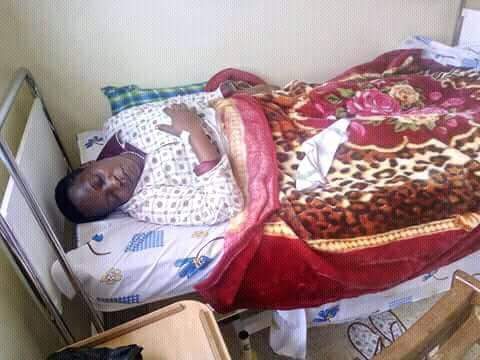 Mukono municipality MP, Betty Nambooze has been admitted into ICU. Our sources report that her veins have failed and she has been transferred to Intensive care. Mulago hospital however mentions that they will be able to treat the politician, as she is being handled by the best doctors in town. Nambooze was arrested following the death of Arua Municipality MP, Ibrahim Abiriga. She allegedly posted offensive information on Social Media about the late. This led to her re-arrest, and she was taken to Naggalama Police Station. From there, her health became worrying and the Mukono municipality MP, was transferred to Kiruddu Hospital for treatment. Betty was taken through a scan, and the doctors discovered that her former injuries had worsened. During a scuffle in parliament in September last year, the MP was caught in between, and injured her spinal cord. She was taken to India for surgeries, and Betty returned in better health. However, with this first arrest, we need to pray for her to get better. Erias Lukwago, has prompted the court to ensure that police releases Nambooze, as she has been detained past the legally mandated 48 hours. Let us pray for her.